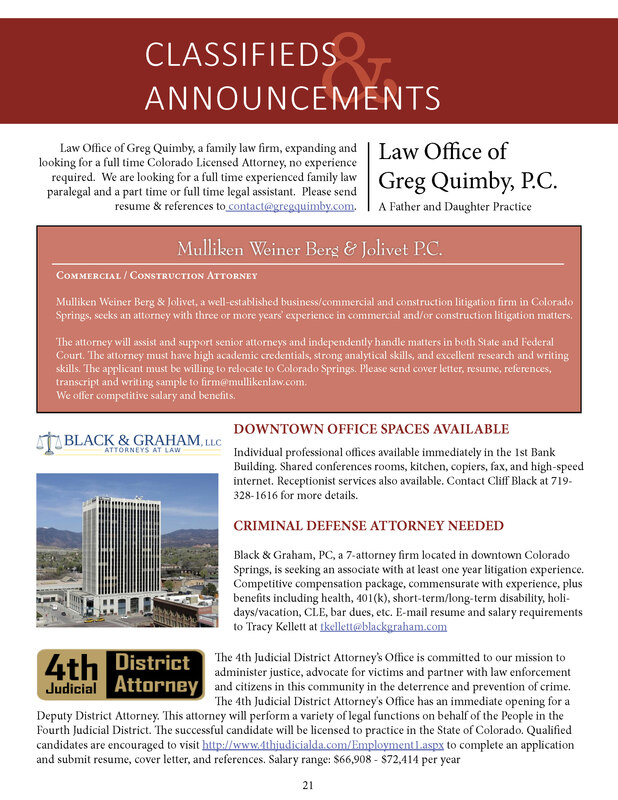 Classifieds are published in the Pikes Peak Lawyer and on the EPCBA website. The submission deadline for all ads is the 15th day of the preceding month, though classifieds will be published on the website immediately. 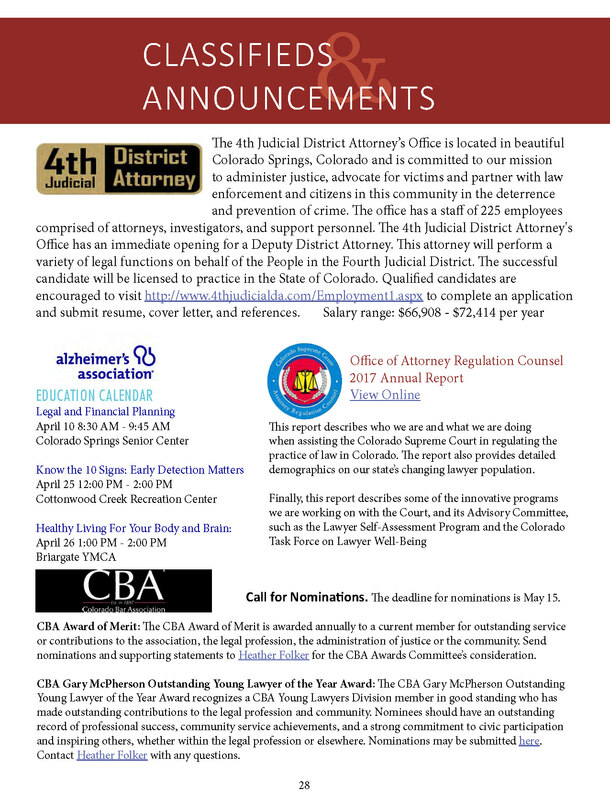 If an ad is submitted after the 15th, we will still try and place the ad in the upcoming publication, space and time permitting. Classifieds can be up to 110 words and include a small logo or picture.